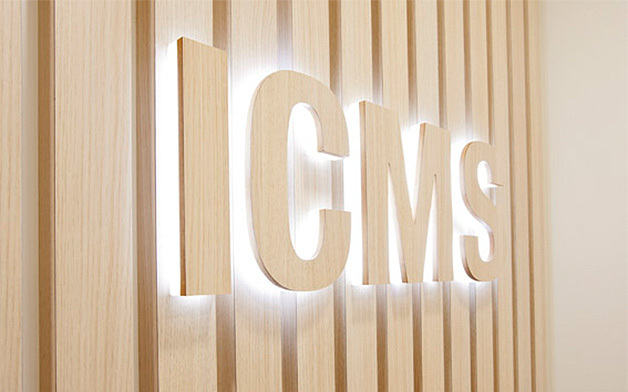 With the grand historical catholic church as their main campus, ICMS (International College of Management) approached Morris Selvatico to design a small retail hub located in the heart of Manly. 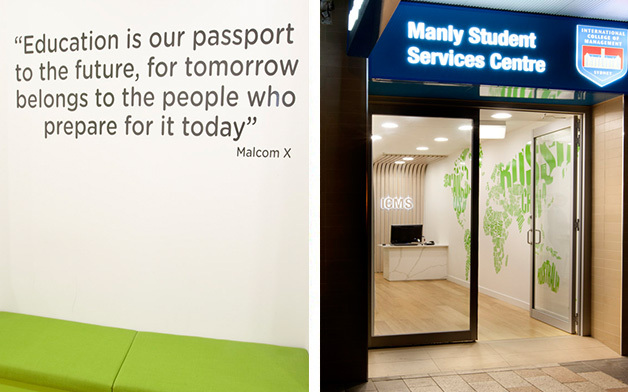 Morris Selvatico transformed the extremely narrow space into a bright and inspiring environment to capture potential new students and provide an off site centre for existing students to utlise. Oak timber floorboards, marble counters and their new corporate green colour was use on joinery and as a large supergraphic to bring an interactive element to the space..